The last talk, "A tale of two cellphones: Python on Android and iOS" from PyCon 2016 on how they approached building a mobile app using python was very good. They discussed how python can be effectively used to manage native objects and how that in turn can be used to build a native app with python. At that point, the project was just starting out (I believe) so I was looking forward more of the same with this year's talk and expecting to see how far they got after two years. Here's the talk, named "Building a cross-platform native app with BeeWare" from Pycon 2018. Unfortunately, I don't this years talk was as good. Here's a snapshot of the app that was created after two years. I was a bit surprised to hear "the hard part isn't the widget toolkit". Unless they're using the approach that kivy took, where low level OpenGL primitives that almost all platforms support are used, I'm not sure how this is the case. Android and iOS's native widget implementations are completely different. Certain concepts, properties, and implementation details don't map from one to the other. Even react native has separate widgets for iOS and Android. The question on "How would you run numpy?" and the response on the desktop was also interesting. I think that this is the most difficult part of moving to mobile and this aspect was sort of glazed over. Cross compiling is not simple (for certain packages anyways). Projects like conda-mobile that have pre-cross-compiled packages for numpy, pandas, and a few other common libraries for android make this easier but it's still difficult. Chaquopy provides these as well (but is not open source). I don't know if BeeWare allows you to use these libraries on mobile. I hope the project succeeds but I'm afraid they might be trying to do too much. Maybe mobile isn't their main goal but I was hoping to see more progress. Anyways, if you're looking for "How can I make an Android app in Python", I think Kivy and enaml-native have shown more potential to make something happen. If you're just looking to plug some python into an android app go for chaquopy or pybridge. What do you think? 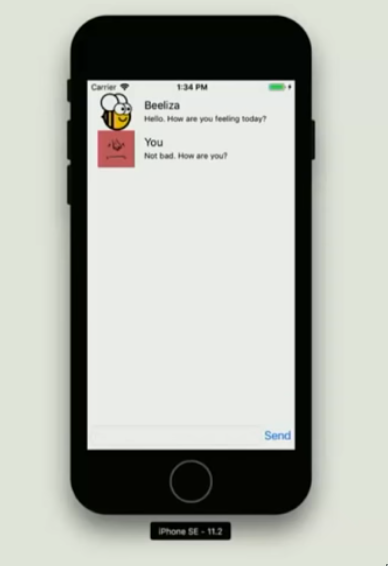 Do you think BeeWare's approach to mobile will work?